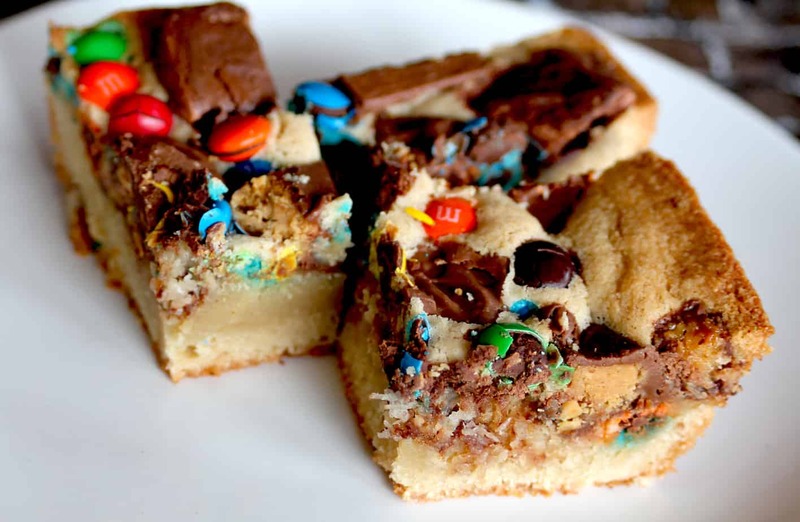 What to do with all of that leftover Halloween candy, why make blondies of course! 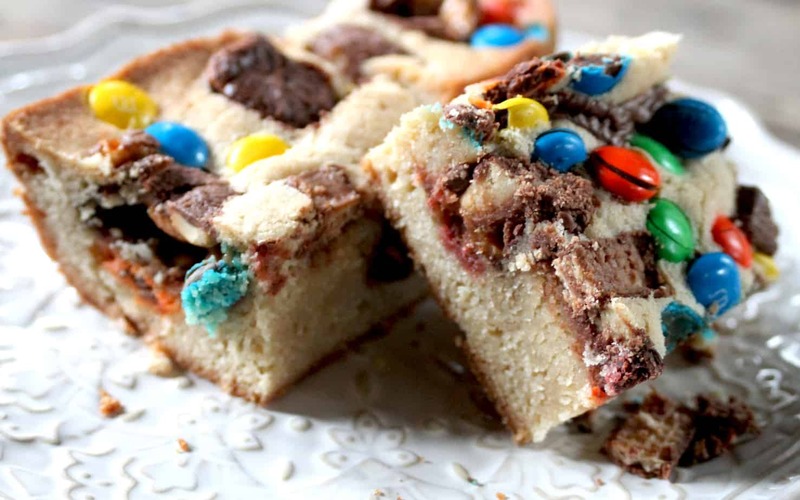 This moist and delicious blondie recipe uses up all of the leftover candy that your kids have trick or treated for. 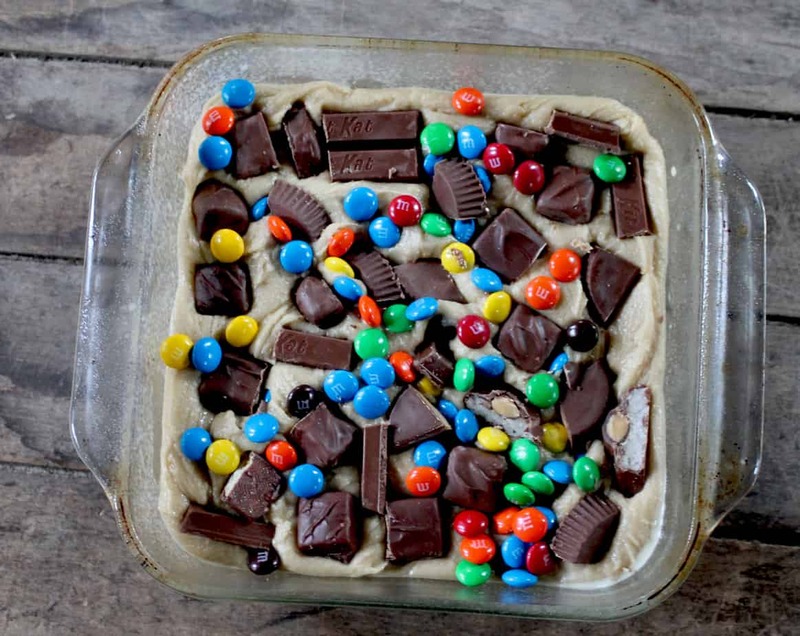 Use any kind of candy that you like and press into the top of the batter. 1 cup assorted Halloween candy, chopped into bite size bits. Preheat oven to 350. Spray an 8″x8″ baking dish with non-stick spray and set aside. In an electric mixer with a paddle attachment blend the butter and sugars together until smooth. Add eggs and combine. Add in the remaining ingredients except the candy and beat until creamy. Pour into pan and top with the candy. Let the pan cool completely before cutting into squares.